Through the course of four and half years, CWL has sent hundreds of Breathe Easy Care Packages all through out the USA, Canada, South Africa, Australia, Ireland, England, Finland and the Isle of Man- to name a few. EVERY care package has been given at no cost to the receiving family- thanks to our amazing donors! 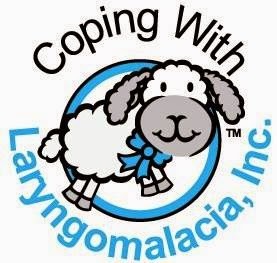 Each care package contains a handmade blanket, handmade hat, Lu The Laryngmalacia Lamb, Socks 4 Surgery socks and a Mary Kay pampering bag (for the Supermom). Care packages are sent to families whose Pint-Sized Powerhouses' are scheduled to have airway surgery (a supraglottoplasty), comprehensive sleep study, tracheotomy tube surgery, scope in the OR and/or prolonged hospitalization due to complications of an airway defect. These care packages are more than just a Get Well Gift. They are full of Hope. Full of comfort. Full of love. They are a constant reminder, you are not alone. 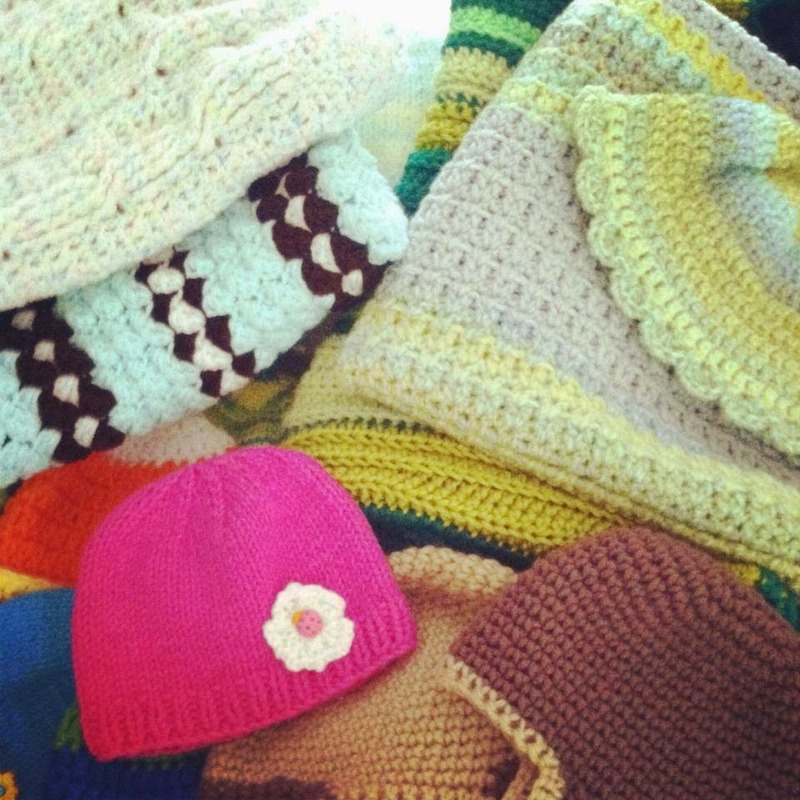 Still...after four years and over 300 donations, I get choked up looking at all the talent, time and pure love that goes into making these blankets and hats. Do our donors actually know how appreciated their work is? Do they know where their donations go? Do they know who their donations help? Pint-Sized Powerhouse Mason. 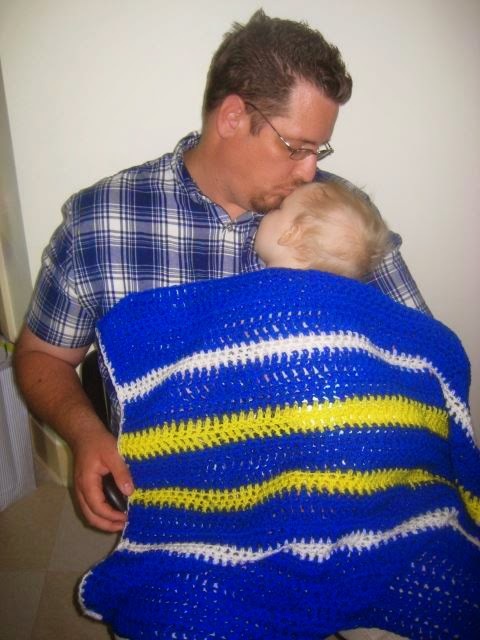 Mason is comforted by his father and blanket post airway surgery. 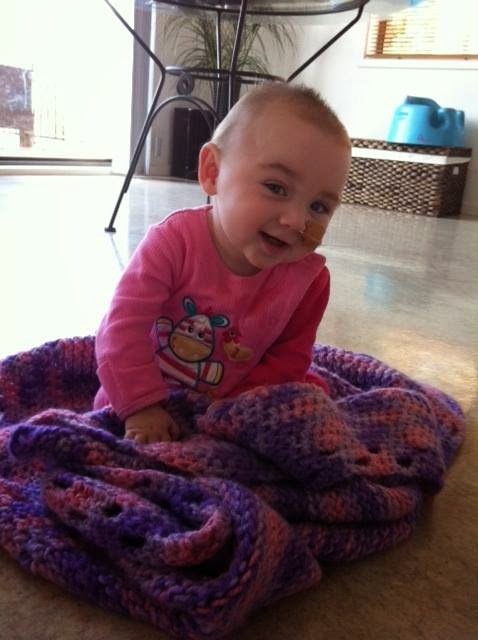 Pint-Sized Powerhouse Renee, recovering from airway surgery. 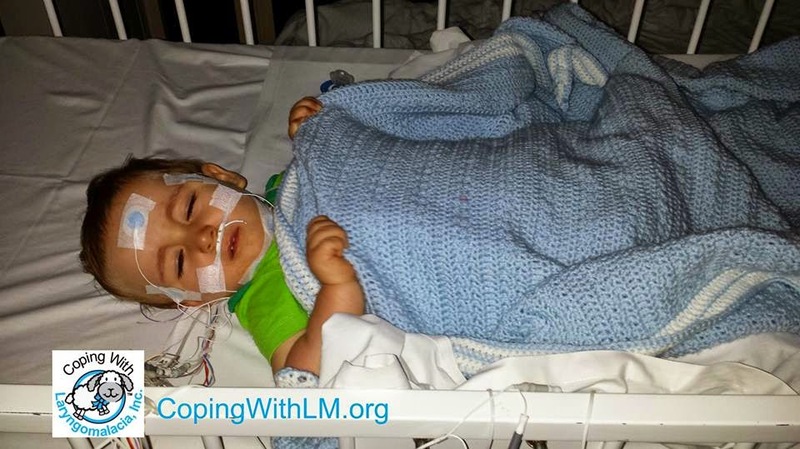 Pint-Sized Powerhouse Logan and his blanket during his sleep study. 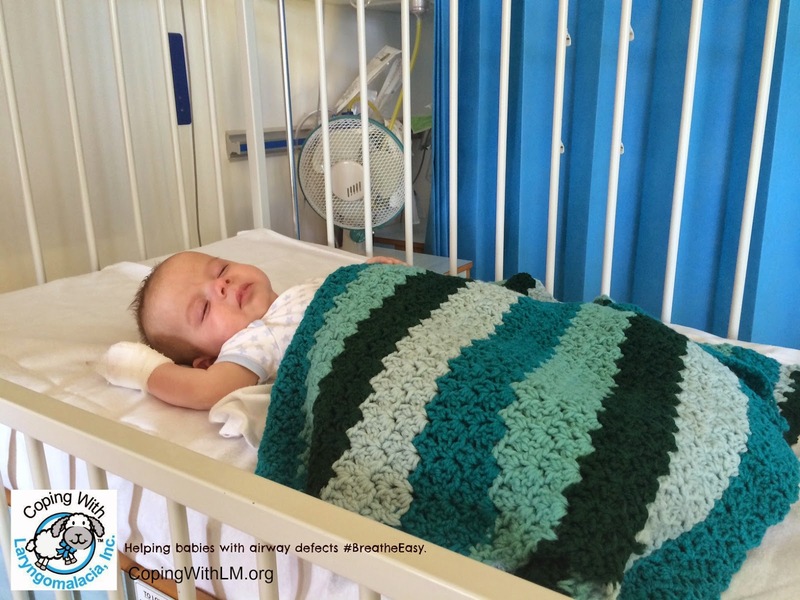 Pint-Sized Powerhouse Harry recovering from airway surgery all the way in the United Kingdom. 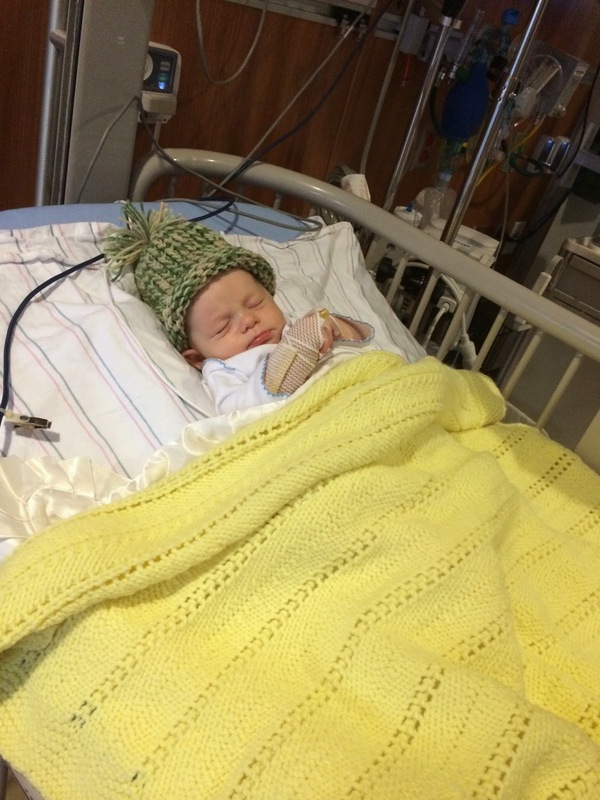 Pint-Sized Powerhouse Brooks recovering from airway surgery in Alabama. 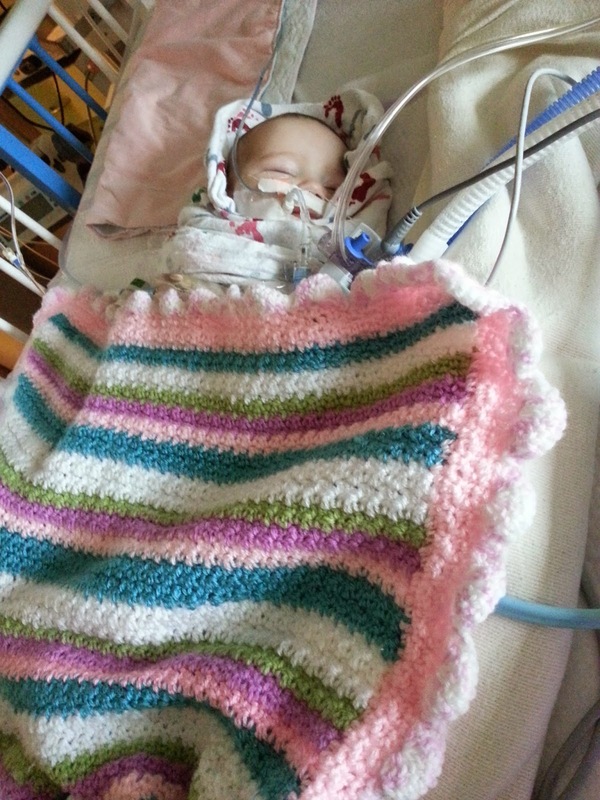 Pint-Sized Powerhouse Sophia recovering from airway surgery in ICU. Pint-Sized Powerhouse Joel opening his Breathe Easy Care Package. Pint-Sized Powerhouse Sophia during her sleep study. 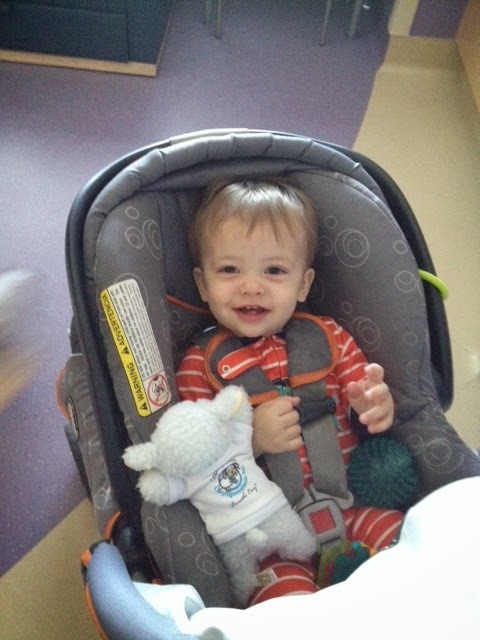 Pint-Sized Powerhouse Kooper leaving the hospital with Lu right by his side! 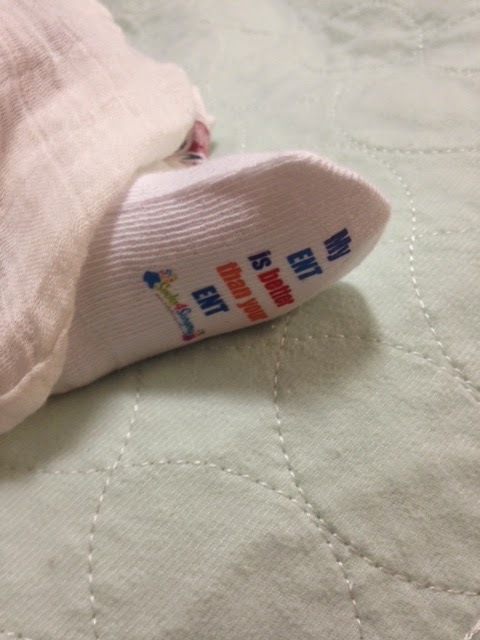 Pint-Sized Powerhouse Maverick rocking his Socks 4 Surgery. A donation is never "just a donation." It's never "not enough." It always has the potential to change a life. with Hope, love and a hug! To learn more about how YOU can help our Pint-Sized Powerhouses' go here.